Hi you guys! 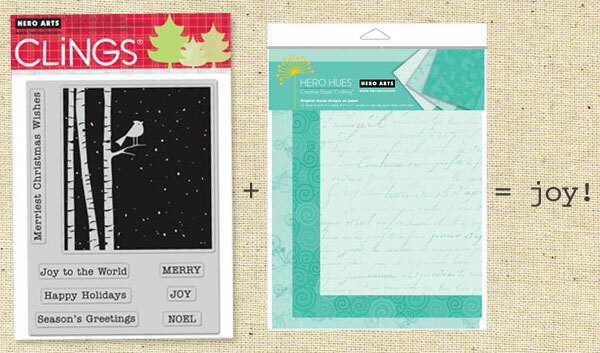 Today Hero Arts is having a blog hop to celebrate the 2011 Joy To You holiday catalog going up in the online store. I’m so excited to be playing along! I love playing around with solid stamps like this because there’s so many things you can do with them. You could go ahead and stamp it in a nice blue color and you’d have a sweet, tweet scene in no time. Or you could try the kissing technique. But I didn’t want to do either of those! Nope, not me. Instead, I stamped it with VersaMark ink and embossed it in clear, then colored it with inks. Here’s a closer look so that you can see the embossing better — you gotta tilt it to get it to really show up. Now, remember how I mentioned a giveaway? 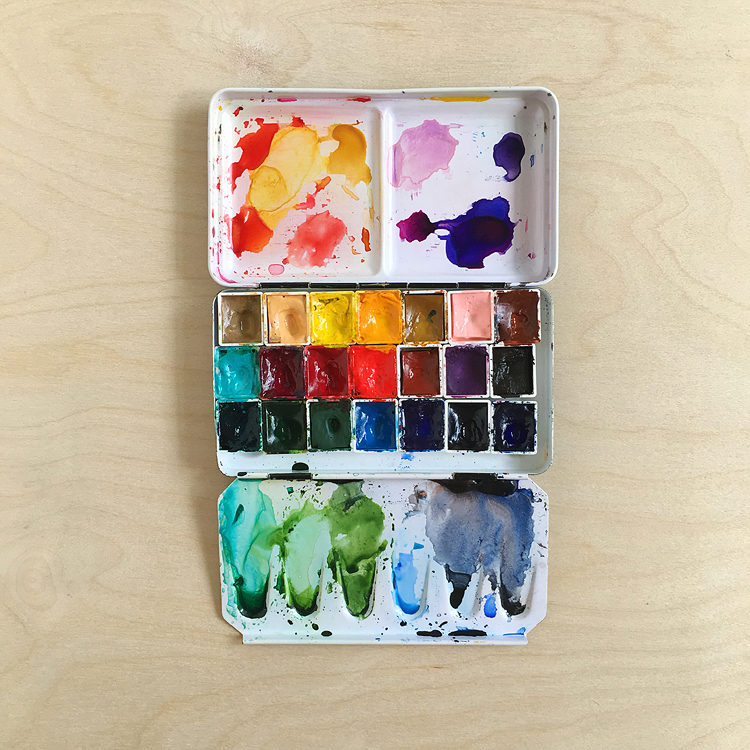 Yep, Hero Arts is giving away a great prize (including new Pool notecards + envelopes!)! The lucky winner will be chosen on August 5th from all the comments received on each stop in the hop, so be sure to comment + visit them all! 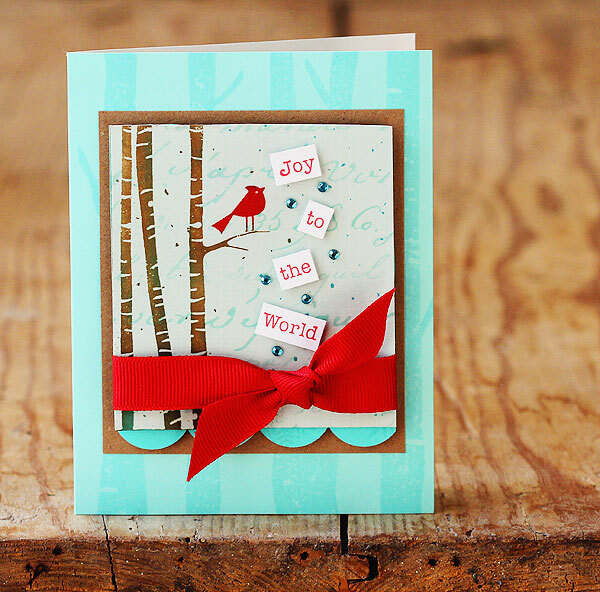 Your next stop on the hop is the super talented Tami Hartley’s blog — she made FOUR amazing cards! Go check ’em out! I love the work you did on this card. It is beautiful and helps make me get in the mood for Christmas. Fabulous! i love those picture, and a bird too cute, and this blog is very entertaining, thanks for sharing your amazing pics. My favorite winter stamp and loved, loved loved the colors that you used. Wow I am amazed at this beautiful card and just looking at all the new Christmas papers, stamps and projects puts me in the mood for it!!! 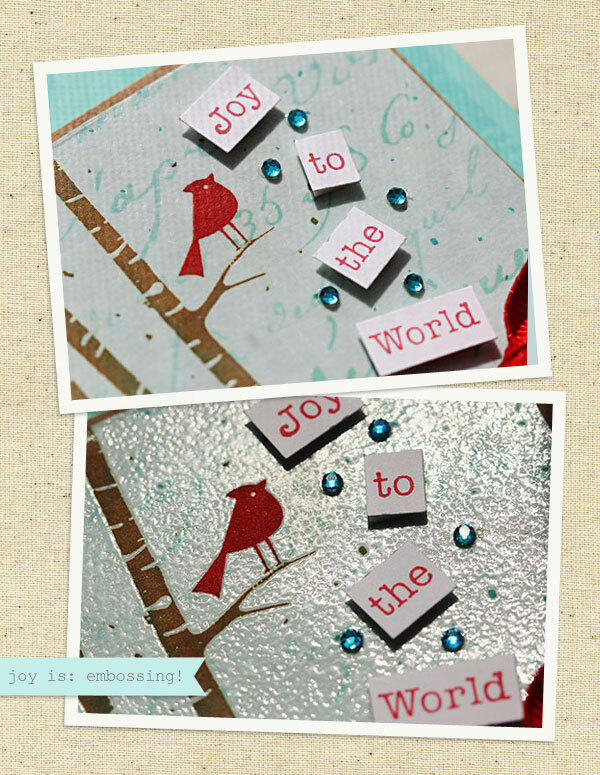 Love this beautiful card Lisa! And I like the colors very much! I love seeing your contributions to the Hero Arts blog. You have such STYLE!!! Thanks for sharing your creativity. love this card. it looks like the bird is singing those words. too cute. What a beautiful card! The little red bird just makes it so special! I love the way you included some instruction! I have yet to try the clear Versamark and have been curious as to how to use it! Thanks! And as far as Christmas thoughts, it’s 116 here today in Phoenix and I guess I’ll get out the lights in December and wrap the old cactus! haha! It’s a desert thing! For now, just the thought of all the gift shopping makes me cringe! I love how the red bird stands out. Very pretty. Thanks for showing a fun technique to try. Beautiful! This is super sweet, Lisa! Thanks for showing us how you made it. The falling sentiment and gems are like music from the bird! Oh Lisa! 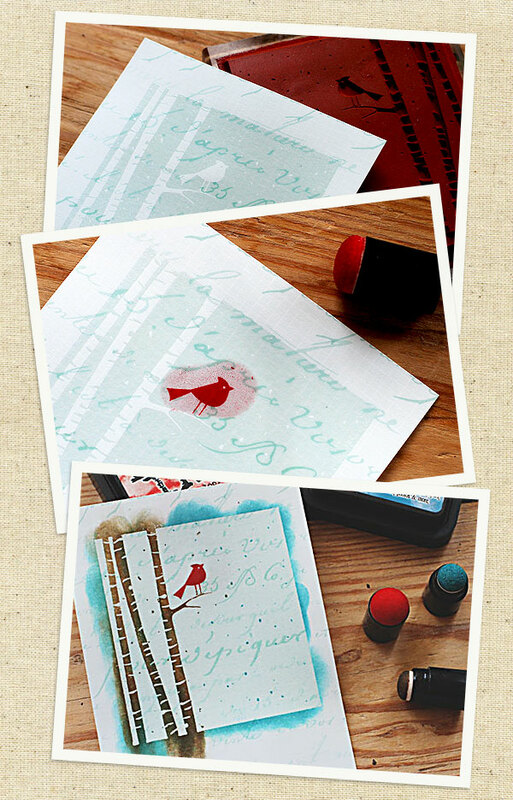 This is a wonderful combination of colors, love this stamp! Great enabling! 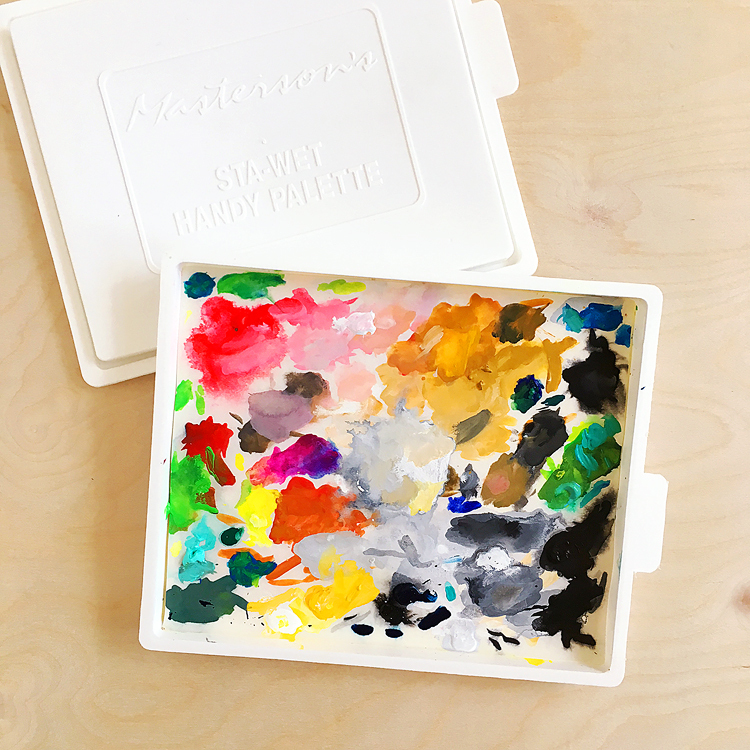 Tiffany recently posted..Tweet….tweet! I’m back…..
OMGosh what an adorable card!! I just love everything about it. TFS. There are no words for how pretty I think this card is, Lisa! I love it!